I'm seriously considering throwing $100 at the Arcadia Quest Kickstarter. It's being put out by the CoolMiniOrNot crew and looks to be a pretty good deal. I've gotten games produced by them in the past and kicked myself for not supporting the Zombicide Kickstarter. 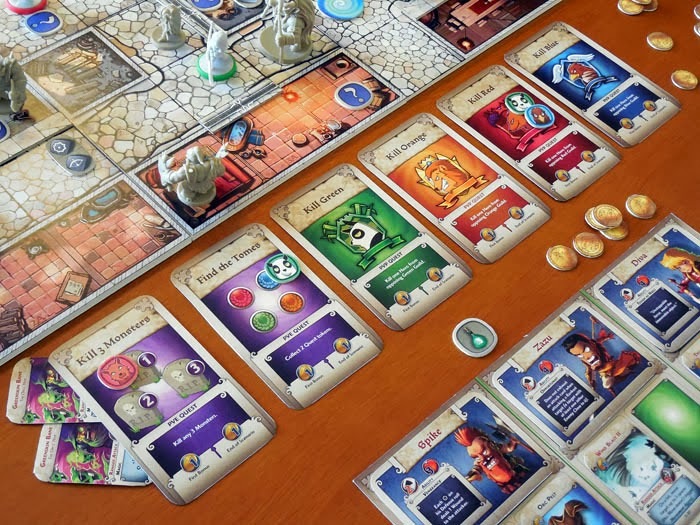 The games appears to be a sort of campaign based, tactical boardgame where multiple players control separate guilds all trying to loot a dungeon. The minis are all super-deformed and come preassembled. I'm considering doing the Kickstarter, which is essentially just a preorder, as it would come with a Kickstarter Exclusive campaign pack including 6 additional minis and a new campagin book, a Kickstarter Exclusive hero mini who looks like she's supposed to be Red Sonja as well as whatever bonuses are unlocked. Currently, the game has 17 more days of funding ahead of it and has already unlocked several bonuses. If former Kickstarters from this crew are an indicator, we should be seeing plenty of cool additional stuff coming this way. I think if I can talk at least 2-3 friends into also buying this, I'll get it. I'll need people to play the campaign with!